With the vast majority of toys-to-life games now discontinued, residing in long forgotten cupboards or at the bottom of in-store bargain bins, it was never a given that Ubisoft's attempt at the genre would be a successful one. In a post on the official Starlink website, Ubisoft has confirmed that due to low sales it will not produce any new toys for Starlink: Battle for Atlas. 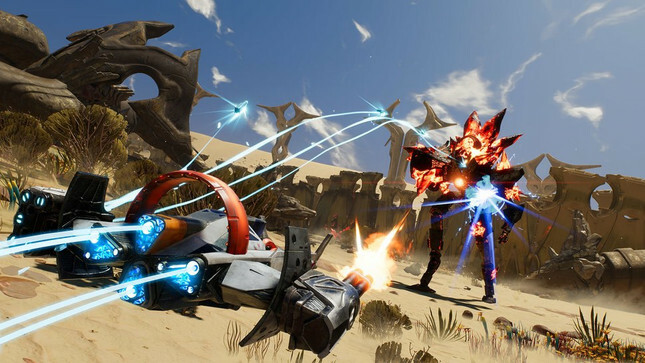 "Despite the immense and continuous support from our players, the sales for Starlink: Battle for Atlas fell below expectations. Consequently, we recently made the decision to not release any additional physical toys for the Spring update and in the future." While the news may disappoint some, all is not lost, as the team is preparing to release the "biggest update to the game so far." The upcoming update is scheduled for an undisclosed time in April and will see the introduction of more of the Star Fox squad, including Falco Lombardi, Slippy Toad and Peppy Hare. These new pilots will all feature their own unique special abilities and skill tree and will be playable across any of the game's missions on the Switch. It's always a shame to see a game fail, but the high cost of entry for the toy component of Starlink made it an incredibly hard sell.